This quirky New York apartment style kitchen is perfect inspiration for shabby chic. A style of making used furniture look modern, and well designed. A good contrast of colours, along with useful clutter make this little kitchen desirable for just about anybody. Function meets fashion in this small kitchen-diner. 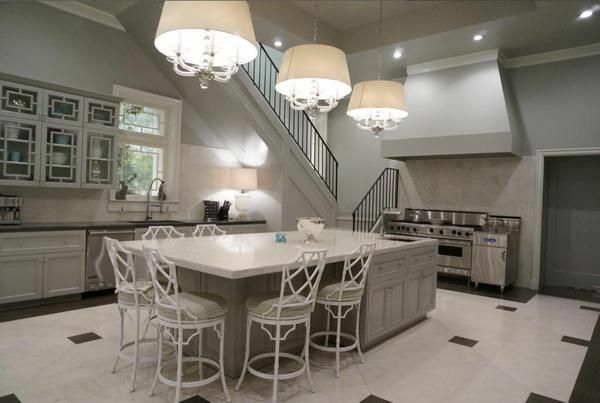 On the other end of the spectrum to number 1, this kitchen is grand, with lots of open space. It has more neutral colours and so clashes less, but still keeps character with it’s use of lights, and accents like table runners, seat cushions, and decorative fruit bowls. 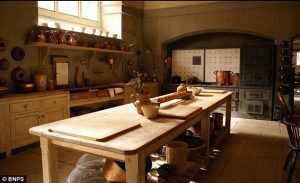 This is a kitchen for any lovers of baking and cooking for sure! Modern, minimal kitchens can be overdone nowadays and they can look clinical. 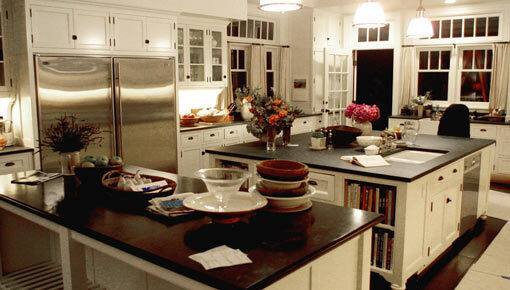 We love the back to basics style used, lots of wood, old appliances, and colour. So much character. We wouldn’t mind being ‘downstairs’ if this kitchen was involved. 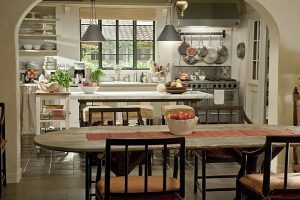 One of the most googled and sought-after kitchens of all time, Diane Keaton’s stunning Hamptons house in Something’s Gotta Give is reason enough to watch the movie, what’s more, it is featured as the Powell’s Kitchen on Devious Maids. 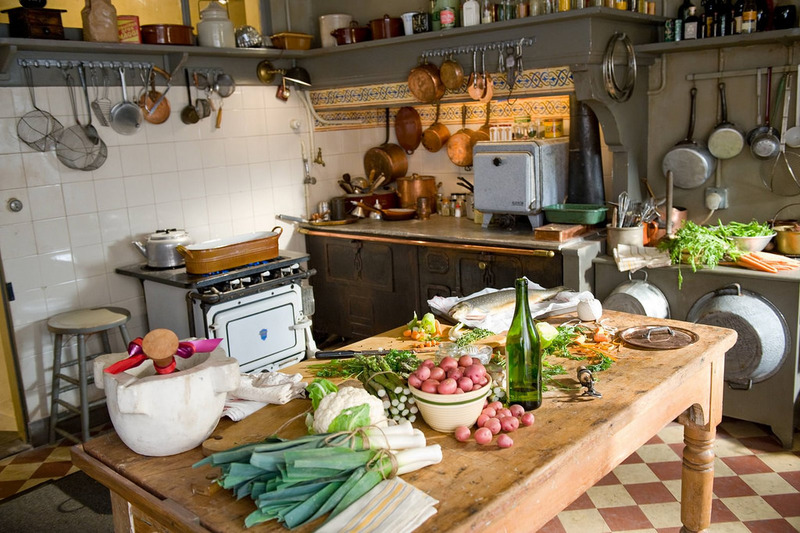 This famous kitchen is complete with breakfast bar, and full fridge-freezer, we’re in love! 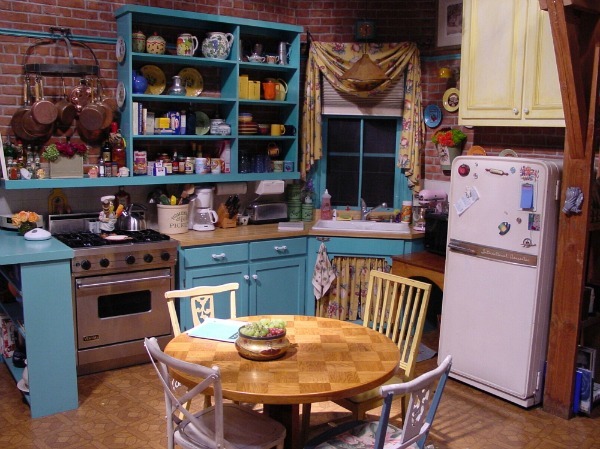 There’s nothing not to love about this colour filled kitchen. Fresh veg, fruit, and food make us hungry, whilst the idilic Paris design leaves nothing to be desired. 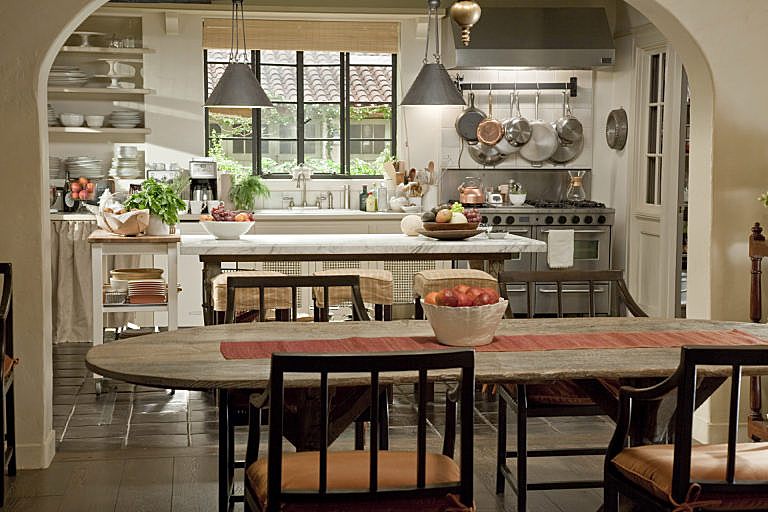 This kitchen is quintessential and perfect in almost every way. This kitchen screams opulence and class. No expense has been spared on this beautiful kitchen. A breakfast bar, full length stove, and grand chandeliers all accent this kitchen to make it perfect. Minimal, with splashes of colour, in blue, cream, and gold make this kitchen homely. We’d love this in our home, but of course, without the all the murders. If you’ve got inspiration, give SDP a call on 0114 438 7536 to see how we could help build your dream kitchen straight from the set of a film. 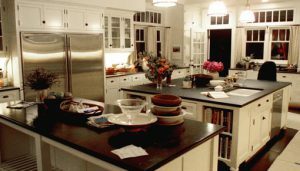 5 things you should plan for before getting a new kitchen!